In his 1870 book, Wanted, a Statesman!, an American theologian and author, James Freeman Clarke (1810-1888), posited that while a politician thinks (only) of the next election, a statesman thinks of the next generation. Clarke explained that whereas an average politician thinks only of himself and his party, a statesman thinks solely of the good of the people – how he could serve them selflessly and provide the dividends of democracy for them. He said, “The difficulty about a politician, no matter how honest and well-intentioned he may be, is always this: that the matter of absolute importance in his mind, to which everything else must yield, is to carry the next election for his party. Political observers believe Clarke’s words hold true for the governance system in Nigeria, where the political elite has always shown an insatiable appetite to remain in political positions, thinking only of themselves. From presidents, to governors, senators, House of Representatives members, local government chairmen and councillors, the country has been held down by a system that allows the political class to always recycle themselves –without giving any consideration to what the people want. As the 2019 general elections approach, analysts say the phenomenon of political elite always wanting more is seen rearing its ugly head again, particularly with some governors already declaring their intentions to contest the senatorial election. Last Wednesday, the Ogun State Governor, Ibikunle Amosun, declared that– after serving as governor of the state for eight years –he would contest the Ogun Central Senatorial District seat in the 2019 elections. The governor made his intention known at the state executive council meeting of the All Progressives Congress in Abeokuta, the state’s capital. Meanwhile, the 60-year-old governor had earlier served in the Senate, having represented his senatorial district between 2003 and 2007 on the platform of the All Nigeria Peoples Party, before becoming the state governor in 2011. Also, his declaration came barely 48 hours after the present occupant of the position, Senator Lanre Tejuoso, declared his intention to return to the senate on the same APC platform, which the governor is seeking to run. A Lagos-based policy analyst and social commentator, Dr David Alao, said it was unfortunate that outside of politics, the Nigerian political elite had no other employment. Describing them as “opportunists” and “parasites,” Alao said if the political elites had interest in truly serving the people, it would have been a different scenario; however, this is usually not the case. He said, “The governor is definitely thinking of going to the Senate to retire. What did he forget there in 2007 that is taking him back? Has he not been in the corridors of power ever since? Alao said it was time the youth organised a revolution to kick out those who had stayed in the corridors of power “for too long,” especially as they had not added the expected value to governance. He said, “I can assure you, this country will continue to remain a joke with the Senate becoming a retirement home for governors. Look at Amosun; he was once a senator, then governor and now he’s going back to the Senate. Amosun is definitely not the only state governor in the country who – once he finishes his tenure in May 2019 – wants to “retire” in the Senate. His Oyo State counterpart, Abiola Ajimobi, 68, in February also stated his intention to contest the Oyo South Senatorial District seat in the 2019 elections. Just like Amosun, Ajimobi had also previously represented Oyo South Senatorial District in the Senate between 2003 and 2007, before he afterwards became the state governor in 2011. Interestingly, perhaps in a tune synonymous with most politicians in the country, Ajimobi’s Executive Assistant on Political Matters, Dr Morounkola Thomas, claimed that the governor was not really interested in the position but that the people of the district pleaded with him to go back to the Senate to represent them. Thomas had said, “It is those outside the state that are encouraging him to run. He has been there before and we need experienced people to give us quality representation. Likewise, the Imo State Governor, Rochas Okorocha, also in February declared his intention to contest the Imo West Senatorial District seat in 2019. The Imo governor was quoted as saying that he had earlier planned contesting the Presidency but backed down after President Muhammadu Buhari declared his re-election bid. Okorocha then said he decided to go to the Senate and enhance Buhari’s and other APC candidates’ chances in the 2019 elections in the state. Okorocha, who is said to be one of the governors close to the President, had stated this during the inauguration of members of the Imo State Oil Producing Areas Development Commission at the Government House, Owerri. He said, “I told you earlier that my interest is the Presidency but since President Buhari will be running in 2019, I decided to put my ambition on hold until he completes his tenure. “But I have decided to run for the Imo West Senatorial District seat because if I don’t, bad people will take the position. Not left in the pack of governors participating in the 2019 senatorial elections is the Governor of Kwara State, Abdulfatah Ahmed. Last Saturday, the governor said he had picked up the nomination and expression of interest forms of the Peoples Democratic Party for the Kwara South Senatorial District seat. 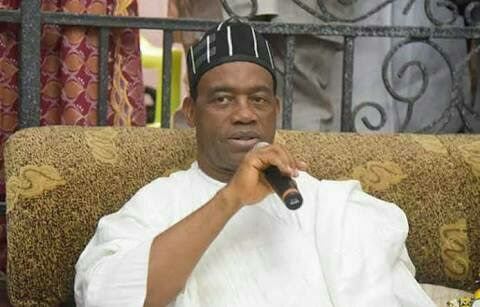 In a manner characteristic of his governor colleagues, Ahmed said he decided to participate in the senatorial election following calls by his people to run for the office. “In response to calls by my people and in keeping with my strong desire to upscale the excellent work we have done in all three zones of the state, through effective, purposeful representation, I have picked up the PDP nomination form for the Kwara South Senatorial District,” the governor tweeted via his verified Twitter handle, @abdulfataAhmed. However, the governor would have the current senator representing the district, Rafiu Ibrahim, to contend with as he has also obtained the nomination and expression of interest forms to run for a second term under the PDP platform. Ibrahim also said he was called by members of his constituency to return to the Senate, nonetheless stating that he was willing to abide by the party’s decision on the candidate for the district, whether such candidate would emerge by consensus or primary. He said, “As for the governors, they know they can afford to go there and rest, especially because they know they are not accountable to the people. It’s always about them and their families. “Of course, they have the fundamental rights to go to the Senate, but it’s worrisome that since time immemorial when governors have always run to the place, they have yet to make any meaningful impact on the society. “If they were doing their job well, through legislations, jobs would have been created for the people and unemployment should have reduced; corruption and wastage would have been addressed; insecurity would have been addressed. “Legislature is an important arm of the government and is not for selfish people. It’s for those who are passionate about governance. However, what we have in Nigeria is a situation whereby those who have not served the people are still seeking to go to the senate to retire. 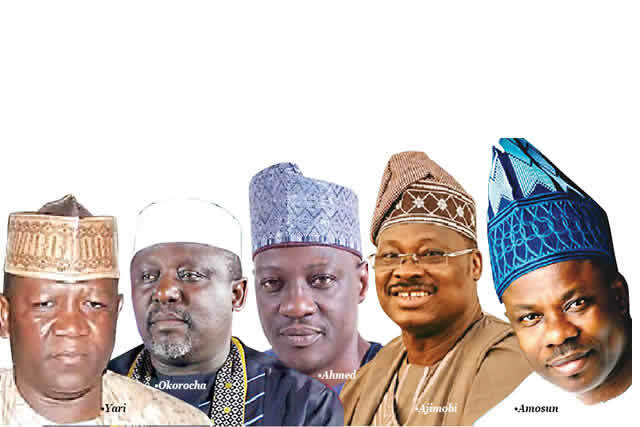 Apart from Amosun, Ajimobi, Okorocha and Ahmed, other governors who have declared their intentions to go to the Senate in 2019 – after ruling for eight years are: Zamfara State Governor, Abdul’aziz Yari, who wants to contest the Zamfara West Senatorial District seat; and his Nasarawa State counterpart, Umaru Tanko Al-Makura, who is eyeing the Nasarawa South Senatorial District seat. Meanwhile, there are already 15 former governors in the senate already. These include the Senate President and a former Kwara State governor, Dr. Bukola Saraki; a former Kano State governor, Rabiu Kwankwaso; a former Akwa Ibom State governor, Godswill Akpabio; a former Plateau State governor, Jonah Jang; former Zamfara State governor, Ahmed Yerima; and a former Kebbi State governor, Adamu Aliero. There are also a number of former deputy governors in the Red Chamber, including Mrs. Biodun Olujimi (Ekiti) and Enyinaya Abaribe (Abia). Findings showed that some of them had gone on to spend more time than the period they spent as governors and deputy governors in their states. He added, “It’s hurting our democracy that same people who have not really performed well at the state level go on to make laws at the federal level. What impact do we expect there?